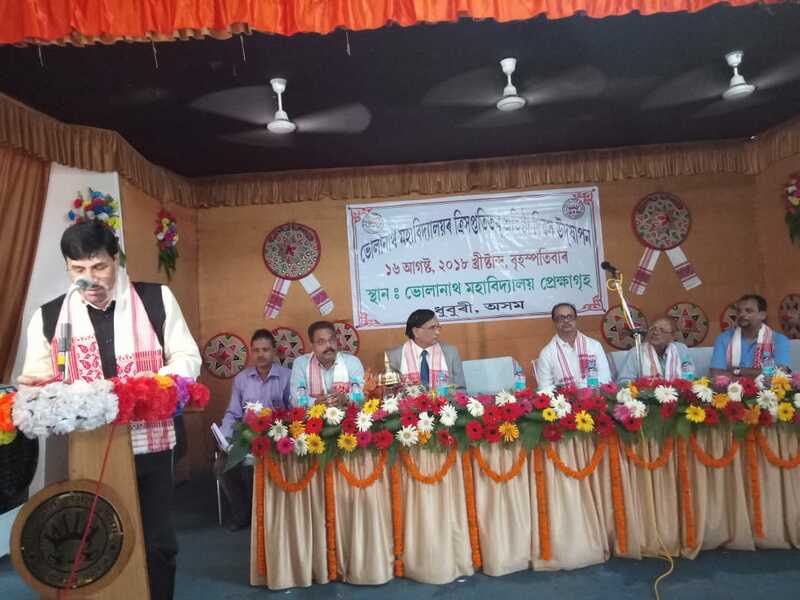 Bhola Nath College, one of the leading colleges in western Assam’s Dhubri district celebrated its 73rd foundation day with a day-long programme on Thursday. Founded in 1946, the oldest institution of higher learning in western Assam was founded mainly from the donations of Lakhipur Estate zamindar family of Late Bhola Nath Choudhury. And, accordingly, the college was named as Bhola Nath College. A public meeting held on August 26 in 1944 at Dhubri Government High School premises under the president ship of Zahirul Huq Esqr, the then Deputy Commissioner of the Goalpara district (undivided Dhubri district) envisaged a college with both the arts and science stream at Dhubri. 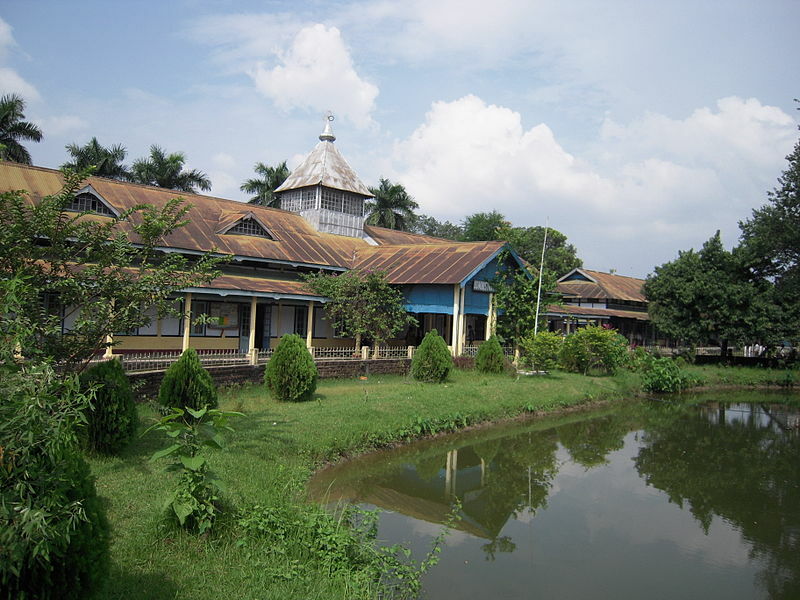 Since its inception in 1946, the college has gained and maintained the recognition of being the best institution of higher education in the entire western part of Assam under Calcutta University earlier and now under Gauhati University. Currently, it has 26 full-fledged departments under arts, science and commerce faculties besides vocational training centres and a centre of post graduate correspondence school. Dr Mir Sahadat Ali, president of governing body of Bhola Nath College hoisted the institution flag in the beginning of the ceremony while the principal of the College, Dr Dhurbo Chakraborty paid tributes to martyrs. On this occasion, an open session was held at the auditorium where the principal presented the annual report of the college. Prizes were awarded to students for academic excellence. Speaking on the occasion as a chief guest, Hrishikesh Goswami, Media Advisor to Chief Minister of Assam has urged the students to focus their learning method to achieve the goal. Citing the example of world athlete Hima Das who achieved her goal despite having a number of obstacles only due to her self-confidence. “Each and every individual has a divine power in themselves and time only needs to flourish their inner talent to change it into a reality,” said Goswami. He further gave an assurance to the college authority that he will convey the demands to upgrade this premiere institute of Western Assam into a university before the Chief Minister of Assam.